Do-S!-Do takes after its parent GSC, with a sweet, pungent doughy funk and an added intense pine cleaner smell that is instantly recognizable! The smell alone will elevate your mood! The Faceoff OG adds an extra dose of medicated melty body high. 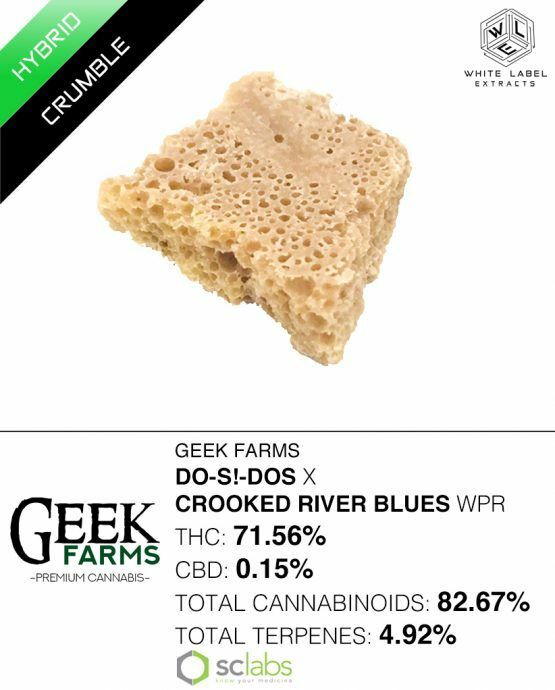 On the other side of the river bank, Crooked River Blues is mash up of several different lesser known strains to create one tasty powerhouse that adds notes of grapes, Blueberries, and Eucalyptus to envelope your senses with this potent cross. Expect a long evening of relaxation and bliss.